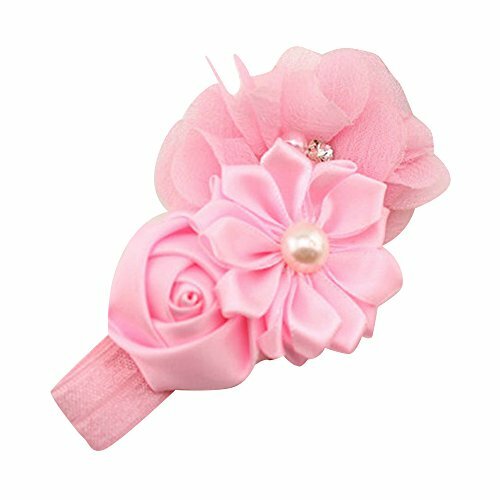 ·Super cute and adorable headband. ·Featuring handmade flowers, adorned with white faux pearl and rhinestone. ·Good elasticity, soft material and beautiful design. ·Perfect for baby shower, birthday party and family photo.